About this day.. this demonstration.. this tournament..
….Mark mentioned that 60% of wheelchair users in Ireland are pretty much inactive. I think it would be fantastic if we could bring some of these people into tennis, and get them involved in clubs all over Ireland…. 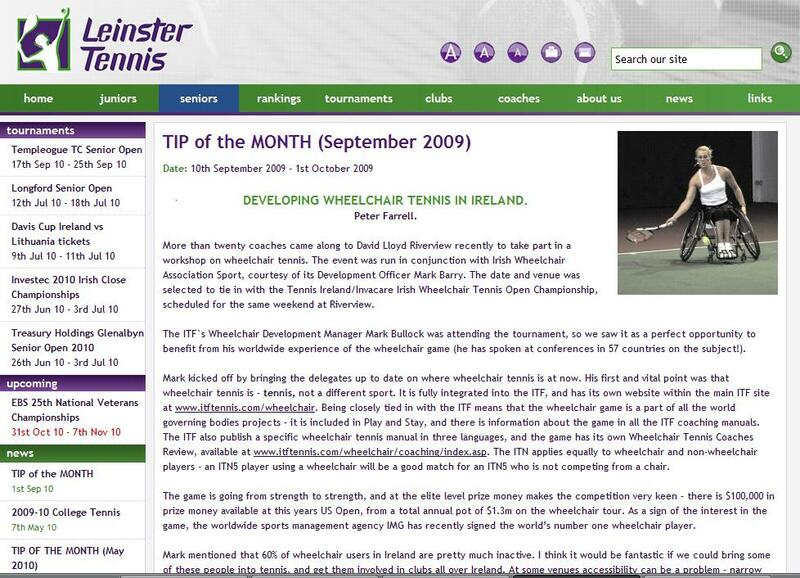 DEVELOPING WHEELCHAIR TENNIS IN IRELAND. ……With a newly developed sports chair now available for a little over €200, this is the time for all coaches and clubs to consider how they can integrate wheelchair players into their everyday playing and coaching programmes….. Videos e noticias ao vivo direto de Miami!